The latter has updated the Android app to be fully compatible with Android Wear 2.0, less than 10 days after the platform's official release. This lets users launch the Audiobooks app straight from their watches, browse books, listen directly from the watch without a phone connection, and control playback and volume. Here's the full changelog so you can check everything that's new, followed by a link to the app on the Play Store if you also want to grab it on your phone. Audiobooks.com should already be accessible on the Play Store on your Android Wear 2.0 watch. This update also fixes bug throughout. TORONTO, February 16, 2017 – Audiobooks.com is pleased to announce their full compatibility with both Apple and Android wearable technologies, making them the only premium audiobook service to provide that option to their customers. 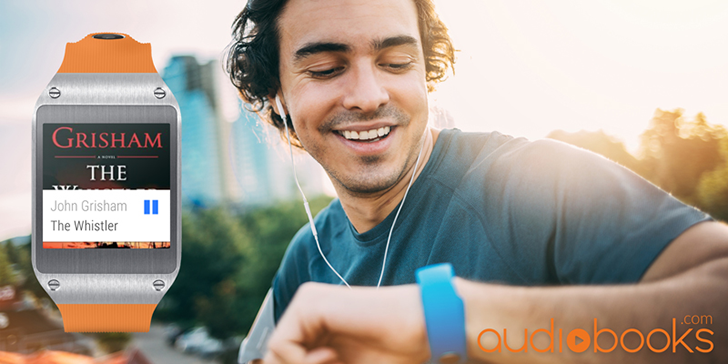 “We recognize how important innovation and convenience are to our customers, so offering them the option to listen with Apple and Android watches was important to us,” says Ian Small, Audiobooks.com CEO. This expansion into wearable technology is in addition to Audiobooks.com’s availability on tvOS, Sonos, CarPlay, Android Auto, and select infotainment systems in GM, Land Rover and Jaguar vehicles.